Part of the Executive Office of the President, the Council on Environmental Quality (CEQ) coordinates federal environmental efforts and helps to develop environmental policies and initiatives. The CEQ also reports to the President on an annual basis about the state of the environment, oversees federal agency implementation of the environmental impact assessment process and settles disputes when agencies disagree about the findings of these assessments. During the administration of President George W. Bush, the CEQ was accused of being a tool for industry, especially the oil industry. Several high-ranking officials on the council had close ties to petroleum businesses, leaving environmentalists to accuse the Bush administration of turning the CEQ into another example of the wolf guarding the chicken coop. 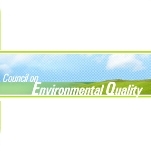 The Council on Environmental Quality (CEQ) was established within the Executive Office of the President as part of the National Environmental Policy Act of 1969 (NEPA). Its focus was to establish a national policy on the environment and require environmental impact statements (EISs) be filed on major federal actions. The NEPA outlines a national environmental policy and is supposed to ensure that agencies within the federal government will consider this policy in their decision-making process, often requiring that an agency prepare an Environmental Impact Statement (EIS) that outlines any potential environmental impact of the agency’s activities. In order for officials to determine the need of producing an EIS, an office first conducts an Environmental Assessment (EA) to determine whether or not the proposed action requires an EIS. An EA considers the impacts of the proposed action and alternatives. It may conclude with a recommendation to prepare an EIS, or it may conclude with a recommendation to prepare a Finding of No Significant Impact (FONSI). If more than one federal agency is involved in a particular project, multiple EAs may be required. The NEPA requires that an EIS must include descriptions of the environmental impacts of the proposed action; any unavoidable adverse environmental impacts; alternatives, including no action; the relationship between short-term uses of the environment and maintenance of long-term ecological commitments of resources; and secondary/cumulative effects of implementing the proposed action. The Council on Environmental Quality (CEQ) is responsible for coordinating federal environmental efforts and helping to develop environmental policies and initiatives. The CEQ also reports to the President on an annual basis about the state of the environment, oversees federal agency implementation of the environmental impact assessment process and settles disputes when agencies disagree about the findings of these assessments. Under the Council on Environmental Quality is the Interagency Ocean Policy Task Force, which is charged with developing recommendations for the long-term conservation of the resources. The Task Force, which includes 24 senior-level policy officials from across the federal government, was formed by way of an executive order issued by President Barack Obama. That order directed the Task Force to develop and release its Final Recommendations (pdf), which it did in July 2010. That report established a National Policy for the Stewardship of the Ocean, Coasts, and Great Lakes and created the National Ocean Council (NOC) to strengthen ocean governance and coordination. The Council on Environmental Quality also works with the Office of the Federal Environmental Executive (OFEE). Under Executive Order (EO) 13423 (pdf), the Federal Environmental Executive (FEE) chairs a steering committee composed of the chair of the White House Council on Environmental Quality, the administrator of the Office of Management and Budget’s Office of Federal Procurement Policy and senior agency officials. The OFEE advises federal agencies, makes recommendations concerning policy, facilitates implementation, provides a centralized focal point for assistance and direction, and helps educate and train people in the requirements of the EO 13423. The steering committee members are selected from among the President’s chief advisers on environmental and acquisition issues. Working in collaboration with the Office of Management and Budget, the OFEE is focused on the federal environmental executive orders, whose goals include greenhouse gas emissions reduction, energy efficiency, and water conservation; and documenting the economic benefits of environmental performance. In 2010, President Obama committed the United States government to reduce its direct emissions—such as those from fuels and building energy use—by 28% by 2020, and its indirect emissions—like those from employee business travel and employee commuting—by 13% by 2020. By measuring, reporting, and reducing the greenhouse gas emissions from agency operations, the CEQ claims that the nation can save up to $11 billion dollars in energy costs over the next decade and eliminate the equivalent of 235 million barrels of oil. Climate Change Technology Program (CCTP) is a multi-agency effort that increases the development and use of key technologies aimed at reducing green-house-gas emissions. The intent of this program is to reduce greenhouse gas emissions by stimulating the development and use of renewable, clean coal, fusion, nuclear and other energy technologies, and by increasing energy efficiency throughout the U.S. economy. United States Global Change Research Program (USGCRP) is a multi-agency program led by the Subcommittee on Global Change Research under the Committee on Environment and Natural Resources, overseen by the Executive Office of the President, and facilitated by the Integration and Coordination Office. Known as the U.S. Climate Change Science Program from 2002 through 2008, the USGCRP investigates natural and human-induced changes in the Earth’s global environmental system and provides a scientific basis for national and international decision-making. Improved Corporate Average Fuel Economy (CAFE) Standards includes two sets of regulations adopted by the Bush administration requiring a combined 15% increase in the fuel economy of light trucks. For the first time, large Sport Utility Vehicles, including Hummers, are required to meet the standards. The administration implemented program improvements recommended by the National Academy of Sciences. These actions are projected to save more than 14 billion gallons of gasoline over the lifetime of these trucks and correspondingly avoid nearly 177 million metric tons of carbon dioxide emissions. Surface Transportation Programs, operated by the Department of Transportation, are used by state and local transportation agencies to help reduce fuel usage and greenhouse gas emissions. The Congestion Mitigation and Air Quality Improvement Program and innovative finance programs help fund projects like truck stop electrification for reduced truck idling and diesel retrofit. Transit funds are available for purchase of hydrogen-powered and other clean-fueled buses by local governments. The Federal Aviation Administration is pursuing initiatives for more efficient air traffic management that will reduce aircraft fuel use, and FAA’s Partnership for AiR Transportation Noise and Emission Reduction is conducting research on climate change impacts of aviation. SmartWay Transportation Partnership is a voluntary partnership between various freight industry sectors and the Environmental Protection Agency (EPA) designed to increase energy efficiency while reducing greenhouse gases and air pollution. By 2012, this initiative aims to reduce between 33 and 66 million metric tons of carbon dioxide emissions and save between 3.3 and 6.6 billion gallons of diesel fuel per year, which would eliminate at least 33 million metric tons of CO2 emissions and up to 200,000 tons of nitrogen oxide emissions per year. Energy STAR works with more than 20,000 private and public sector organizations to identify and promote energy-efficient products to reduce greenhouse gas emissions. The Energy STAR label may appear on major appliances, office equipment, lighting, and home electronics, as well as on new homes and commercial and industrial buildings. Natural Gas STAR is a voluntary partnership between the EPA and the oil and natural gas industry. Through the program, the EPA works with companies to identify and promote the use of cost-effective technologies and practices to reduce emissions of methane. As of 2011, the companies participating in Natural Gas STAR represented 61% of the natural gas industry. The program has more than 130 partner companies and is endorsed by 20 major industry trade associations. USDA Programs, led by the Secretary of Agriculture, are providing targeted incentives to encourage wider use of land management practices that remove carbon from the atmosphere or reduce emissions of greenhouse gases. Its initiatives encourage the increased use of biomass energy, crop and grazing land conservation actions, practices to reduce emissions from agriculture, and sustainable forest management. The USDA is targeting greenhouse gases and carbon sequestration through the conservation programs it administers and set a target to reduce 44 million tons of CO2 equivalent emissions by 2012. These incentives come in part from an increase in funding for conservation programs on private lands of $17.1 billion over 10 years as authorized by the Farm Bill of 2002. Climate VISION is a public-partnership program established to contribute to the President’s emission intensity reduction goal. Fourteen major industrial sectors and the Business Roundtable have committed to work with Departments of Energy, Transportation and Agriculture, and the EPA to reduce greenhouse gas emissions in the next decade. Hydrogen Fuel Initiative works in partnership with the private sector to accelerate the research and development of hydrogen-based power supplies. The Hydrogen Fuel Initiative and the FreedomCAR Partnership (pdf) are providing nearly $1.72 billion to develop hydrogen-powered fuel cells, hydrogen infrastructure technologies, and advanced automobile technologies. Voluntary Greenhouse Gas Emissions Registry (“1605(b)”) allows businesses and institutions to submit reports on their greenhouse gas emissions, sequestration and reductions. Under the revised program, utilities, industries, and other large emitters of greenhouse gases can now demonstrate net, entity-wide reductions, based on emission intensity or other eligible measures and be recognized for “registered reductions.” Provisions encourage participation in the program by small emitters of greenhouse gases, such as farmers, forest owners and small businesses. Small emitters can either report on their own or partner with a larger group to report greenhouse gas reduction benefits. Federal Energy Management Program (FEMP) works to reduce the cost and environmental impact of the federal government by advancing energy efficiency and water conservation, promoting the use of distributed and renewable energy, and improving utility management decisions at federal sites. Federal agencies have achieved nearly a 30% reduction in British Thermal Units (BTUs) per square foot energy consumption at federal facilities since 1985. In February 2011, an audit report by the Department of Energy stated that if federal agencies exactly meet the 30% BTU reduction by 2015, as required by law, energy consumption would be reduced by almost 7 trillion BTUs, resulting in an annual savings of nearly $80 million. The EPA Act of 2005 established even more aggressive requirements for federal agencies to further decrease BTU per square foot energy consumption at federal facilities by more than 2% per year for 10 years. Clean Water Framework, announced in April 2011, establishes a clean water policy that includes promotion of key partnerships, restoration of important water bodies, innovative water management technology, modernizing water resource guidelines, and addressing new pollution challenges. Interagency Climate Change Adaptation Task Force, staffed by representatives of more than 20 federal agencies, was charged by executive order to develop a plan for a national strategy on climate change adaptation. Gulf Coast Ecosystem Restoration is an initiative that assembled a high-level government working group—its members drawn from the Office of Management and Budget, the National Oceanic and Atmospheric Administration, the EPA, CEQ, and the Departments of the Army (USACE), Homeland Security, the Interior, and Transportation—to perform a study of, and create a roadmap for, the protection and restoration of coastal ecosystems in the Louisiana and Mississippi coastal region. Recovery Through Retrofit is a program to expand green job opportunities in the United States and boost energy savings by improving home energy efficiency. America's Great Outdoors Initiative is an action plan to empower local communities to accomplish their conservation and recreation priorities. Since the Council on Environmental Quality (CEQ) is a subcomponent of the Executive Office of the President, it does not have a separate listing on USASpending.gov. The agency does not award grants or contracts. White House environmental adviser Van Jones resigned from the Council on Environmental Quality in September 2009 after conservatives blasted him repeatedly for controversial past statements and activism. Jones had signed a petition in 2004 that questioned whether the Bush administration allowed the September 11 attacks to happen as a pretext for war. Jones also was caught using a crude term to describe Republicans in a speech he gave before joining the administration. In addition, Jones had been involved at one time with the Bay Area radical group Standing Together to Organize a Revolutionary Movement (STORM), which had Marxist roots. After leaving the White House, Jones challenged conservative commentator Glenn Beck, who led the charge for Jones’ ouster, to a debate, and threatened to sue Fox News for calling him a radical revolutionary and a communist. He also published a book, Rebuild the Dream, about his career and the “right-wing smear attack” that forced him out of the administration. In 2005, Philip Cooney, a senior official at the Council on Environmental Quality (CEQ), resigned after The New York Times reported he had changed some government reports to downplay links between greenhouse gas emissions and global warming. Cooney had previously worked as a lawyer for the American Petroleum Institute. Former CEQ Chairman James L. Connaughton had previously been a partner at law firm Sidley Austin LLP, where he lobbied to reduce government regulation on behalf of clients including the Aluminum Company of America and the Chemical Manufacturers Association of America. A 2003 Environmental Health Perspectives report revealed that controversy was brewing as the Bush Administration lost touch with its own mandate as far as protection of the environment was concerned. David Rejeski, a scholar at the Woodrow Wilson International Center for Scholars, and former employee of the CEQ and EPA, explained that the role of the CEQ would depend on the personality and mandate of the President. George W. Bush made environmental issues a low priority, according to the report, leaving the current CEQ an easy target for those who think it has become merely a political arm of the White House. The CEQ’s main agenda under the Bush administration was to advance President Bush’s goals on a number of key initiatives, many of which were rejected by environmental groups. In addition, numerous key differences between the draft versions and final versions of EPA statements were uncovered. A recommendation that homes and businesses near ground zero be cleaned by professionals was replaced by a request that citizens follow orders from New York City officials. Another statement that showed concerns about “sensitive populations” was deleted altogether. Language used to describe excessive amounts of asbestos in the area was altered drastically to minimize the dangers it posed. What's wrong with using reports from the EPA? $2,841,000 for personnel seems a bit rich for an organization that has a Printing and reproduction budget of $14,000. Why not give $14,000 to the EPA to print and reproduce information it already has? President Obama likes to threaten critical services and not a word about programs like this that amount to government sponsored workfare. Nancy Sutley’s selection as chair of the White House Council on Environmental Quality not only pleased environmentalists, but gay rights activists as well—thanks to Sutley’s “green” credentials and the fact that she is openly gay. Throughout her career, Sutley has been a hard-working, behind-the-scenes bureaucrat with a low public profile. Born April 20, 1962, in New York, Sutley was raised in Queens. Her mother is an immigrant from Argentina. After graduating from the Bronx High School of Science in 1980, she received her BA in government from Cornell University and her masters in public policy from the Kennedy School of Government at Harvard University. 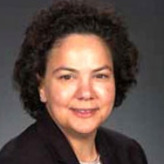 Sutley worked as an industry economist for the Federal Energy Regulatory Commission, before becoming policy director of the National Independent Energy Producers trade association. During the Clinton administration, Sutley was a senior policy advisor to the regional administrator for the Environmental Protection Agency (EPA), Region 9 in San Francisco and a special assistant to EPA’s top official, Carol Browner, in Washington, DC. From 1999-2003, Sutley served as California Governor Gray Davis’ energy advisor, managing state and federal regulatory, legislative, financial and press matters. During the state’s energy crisis, she raised questions about the Federal Energy Regulatory Commission’s oversight of electricity markets in California. She also served as the Deputy Secretary for Policy and Intergovernmental Relations within the California Environmental Protection Agency (Cal/EPA), where she advised on water and air pollution policy, lobbied federal agencies and Congress, and established budget and legislative priorities. Sutley also helped to draft a statewide policy on environmental justice to shield low-income communities from an over-concentration of high-polluting projects. From 2003 to 2005, Sutley served on the California State Water Resources Control Board, which is responsible for protecting water quality and resources throughout California. In 2005, she joined the administration of Los Angeles Mayor Antonio Villaraigosa as Deputy Mayor for Energy and Environment. Working behind the scenes, she has been the point person for Villaraigosa’s campaign to make Los Angeles the “greenest big city in America.” This includes requiring Los Angeles to produce 20% of its power from renewable sources, moving the Department of Water and Power to wind and solar energy, and replacing 16,000 diesel trucks at the ports of Los Angeles and Long Beach. Sutley also has supervised the Million Trees program, which ran into difficulties after urban tree advocates complained that it relied too much on tree giveaways—particularly the distribution of seedlings that have a high mortality rate. And she has served as the mayor’s appointment to the board of directors for The Metropolitan Water District of Southern California. During the 2008 Democratic primary for president, Sutley was an outspoken supporter of Hillary Clinton, serving as a member of the Southern California lesbian, gay, bisexual and transgender steering committee. She contributed $1,000 to Clinton’s campaign, and later gave $250 to Barack Obama. After the election, Sutley joined the presidential transition team reviewing the EPA, thanks to her connection to Browner, a senior adviser to Obama on environmental and energy matters.